At Hamilton Grove we believe that a comfortable and pleasant living experience is essential to ensuring optimal clinical outcomes. Our beautiful nursing home, conveniently located in the Trenton area, is situated on beautifully landscaped grounds. We have endeavored to create an environment and program that truly enhances quality of life, thus promoting recuperation, health, and well-being. Hamilton Grove's talented and creative recreation department provides a broad variety of stimulating and engaging activity options, including crafts, intellectual pursuits, gardening, drama, exercise, hands-on pets, outdoor walks, day trips, and many, many other activities and programs. Hamilton Grove is a beautiful modern facility. Rooms are tastefully decorated and furnished, and feature modern decor, flat-screen cable television, and comfortable state-of-the-art beds. Our world-class culinary team offers a tempting variety of meal selections that is sure to please even the most discerning palate. The hot delicious meals are also health-conscious, and are produced under the supervision of a registered dietitian. Special dietary needs are gladly accommodated. Our Guest Services Coordinator is ready to serve you with special requests such as fresh coffee on demand, special meal requests, the daily paper, and more. Furthermore, our short-term rehabilitation patients enjoy features like our luxurious Spa and our complimentary mobile bedside laptops and phone. 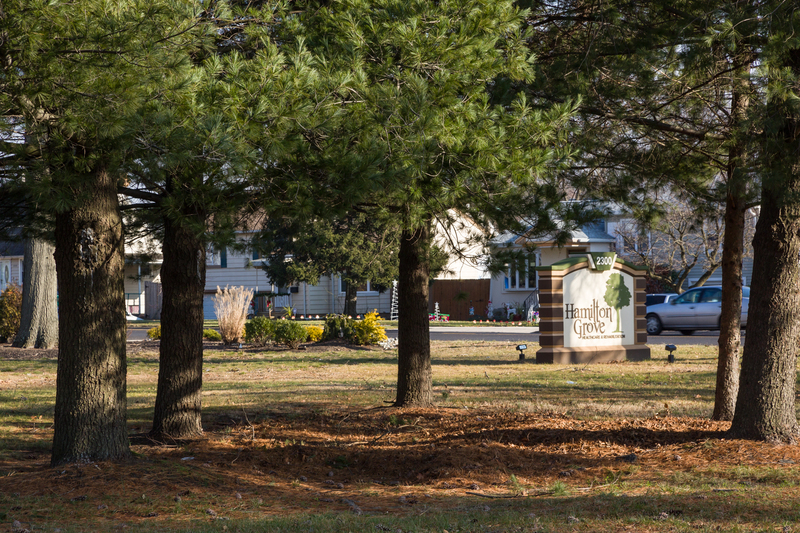 Schedule a tour today and see and experience the Hamilton Grove difference for yourself!